The Startup Awards are all about recognizing the very best of young Irish businesses and rewarding them for their innovation, endeavor, and graft. By celebrating that entrepreneurial spirit, the Startup Awards seek to drive Ireland’s new business forward both in 2013 and beyond. Veronica’s Snacks was Nominated for the awards back in May and then moved onto being shortlisted as a finalist amongst for ‘Retail Start Up of the Year’. We were so honored and delighted to be a Finalist, we are such a young business (only 6 months old) this was a huge achievement for us. 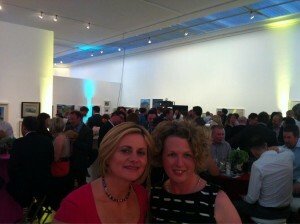 The night itself was held in the RHA Gallery, Dublin 2, it was such an inspiration to be surrounded by so many new Irish Businesses. Unfortunately we didn’t win the award, but we were delighted to be Finalist. Fingers crossed for next year!